Oxidation and Reduction reactions will come up over and over in your organic chemistry course. 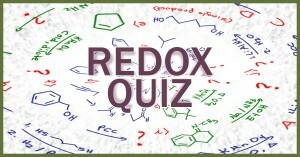 Think you’ve mastered redox reactions and reagents? Try the practice quiz below then scroll down (end of the quiz) for the PDF solutions. Not fully confident with redox? Review the redox tutorial video series and follow along with the Orgo Redox Cheat Sheet. Determine if the following reactions represent oxidation, reduction, or neither. Complete the following reactions by filling in any missing reactants, reagents, or products. 3.3 Show how to bring about the following transformation. But please manage to provide answer as well at the particular time when you making all of these quiz. Where is the solution though?